Download TChromiumFMX for Delphi XE6 Firemonkey on Windows and Mac (70.2MB). This site is very good. I definitely view it everyday. Thanks for the frequent updates and contributions such as this! Thanks, excellent! Works fine except for some plugins that are not painted/displayed? (all plugins are loaded correctly but nothing is displayed when trying to load a pdf file). Same test case with vcl runs fine. hi guys.. i have download this component but i can’t use it..
i have installed this component but seem it does not work well…. does not load all website…i see only a blank page. Does it work on Windows or Mac or neither? Do you have the correct library files in the same directory as the executable? hi.thanks a lot for reply.. i try to explain better. whwn i change the target and try to compile for MacOsx…. nothing to do… the compiler of delphi sais me that it cant found message.dcu… and windows.dcu….. but this dcu are used in windows…. or not? this dcu are declared in the file ceffmx..
as you can see..it call message.dcu, windows.dcu…. TMS Software also has a Mac OSX WebBrowser component in their Firemonkey pack. Basically it uses Chromium on Windows and then I believe it wraps WebKit on the Mac. 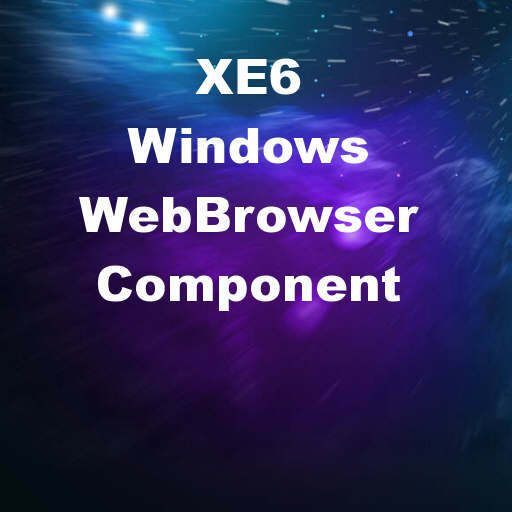 One WebBrowser wrapper for all 4 native web browser platform controls. Dear admin, thanks a lot for your help… it’s very glad..
so..now i will try this conditional compiling…. i need only a simple for with webbrowser that could work in mac…. seem a stupid think but i don’t know how to do…. No, my version of ceffmx is modified from the original. You would have to merge in the conditional compilation from the file I linked. I don’t have Mac. ya… but before to buy a compoment i’d like to try it… and i speak with tms team and he says that the trial webcomponent does not work… but only the full version…. i mean that they want to buy their product but…. hhow can i buy something if i dont know if it work?? and another think… they said me that for mac also the trial componet work well…but i can’t neither compile it and they answer to me “the full version is ok”…. mmmmmm what have i to think?….. i have to make a simple simple think… spend more than 150 euro for this i think is too much…. i will try thos we with chromium component but i have a lots of problem…. Good point, I’ve got the same issue and I really don’t see the point of trial version and demo when someone can’t see how something works. but noone knows another way to make this application?..^_^ there no other component such as firefox? or safari?…opera? Please see the following web page. anything I have done wrong? any library to use for that? sry forgot to delete the previous chromium version src path in delphi library options before adding the new version src path in library. I have deleted the old path and reinstalled the package and its fixed now. ok I can create the browser at run time now and it works fine. I only have one problem now if anyone can help, the right-click menues are not appearing for me. right clicking on anywhere on the page does not pop up any menu for me. anyone know how can I fix this ? I think you have to implement your own right click menu? it means… this file is missing! I’m doing this in XE6. Why is this so hard? I can’t install anything without an error. bpl file? Whats the trick? Step by step..
Class TChromiumFMX not found. I know I’m doing something stupid. I just lost. You downloaded my modified version ( http://www.fmxexpress.com/wp-content/uploads/ChromiumXE6.7z ) and it says that? That is the error I use to get if I use the package straight off their website. My version is modified to fix that problem. You have to manually add the cef3_ChromiumXE6\src directory to the Project Search Path. It has both ceffmx and ceflib underlined in red like it can’t find them.. I have installed in XE7 succeed. But how to embed the pop window to the fmx form in the OnBeforePopup event?